Hard work, perseverance, and a quality education all combine to make successful business leaders. DECA helps make that happen. New York DECA’s 52nd Annual State Competition was recently held in Rochester, New York. Walt Whitman High School maintained its reputation of excellence and high ranking with nine top-10 finalists. 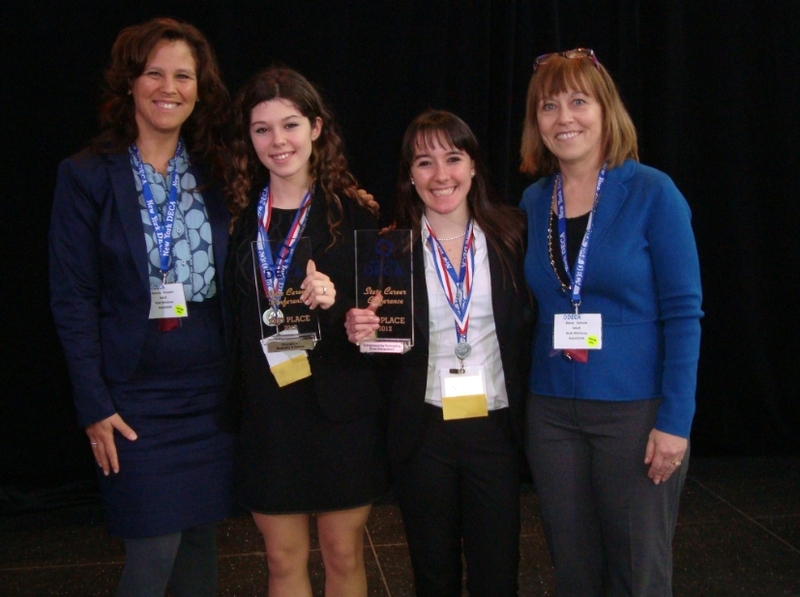 Of Whitman’s finalists, two were trophy winners, which advances them to the DECA international level of competition, being held in Salt Lake City, Utah, on April 28. DECA is a nonpartisan, nonsectarian association of marketing students. The DECA International Career Development Conference (ICDC) is the highlight of the DECA year. Fourteen thousand high school students, advisors, businesspersons, and alumni will gather in Salt Lake City for several days of DECA excitement. The young men and women of DECA are academically prepared, community oriented, professionally responsible, and experienced leaders who are actively involved in preparing for successful careers in marketing, management, and entrepreneurship. Whitman’s DECA advisors Ms. Zamow and Ms. Kleupfel are proud of the following students who honored the South Huntington community and Long Island with their excellent showing in the state competition. They are also happy to announce that both Jackie Calamari and Sydney Pisano, two proven leaders within their peer groups, will advance to the international level. Photo: Left to right: Whitman’s DECA advisors Ms. Kleupfel and Ms. Zamow flank trophy winners Sydney Pisano, and Jackie Calamari.